Set your eyes on this Bella Coastal Decor exclusive! Melamine bowls printed with coral and shells layered over vintage script. Top rack dishwasher safe. This nautical melamine dinnerware is not microwave safe. 7 1/2"Dia. x 2"H each. 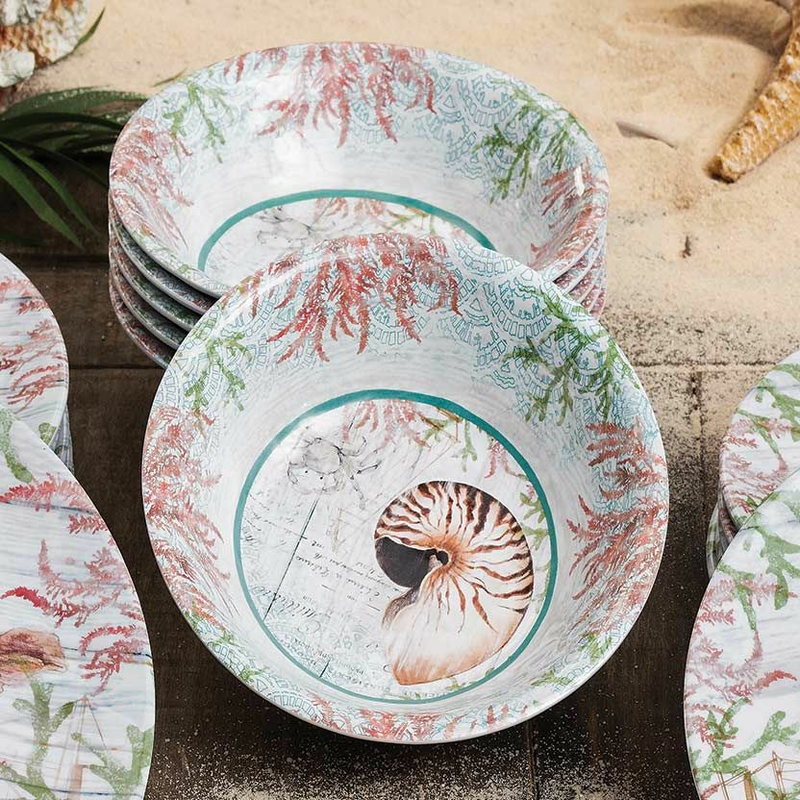 For further products, we invite you to take the opportunity to shop our comprehensive inventory of nautical melamine dinnerware sets at Bella Coastal Decor now.